There is far more to payroll than simply calculating hours and signing checks at the end of the week. Business owners have to deal with ever-changing tax requirements, quarterly tax payments and employee deductions. NFIB Payroll allows business owners to focus on their business and not have to worry about payroll and tax laws. 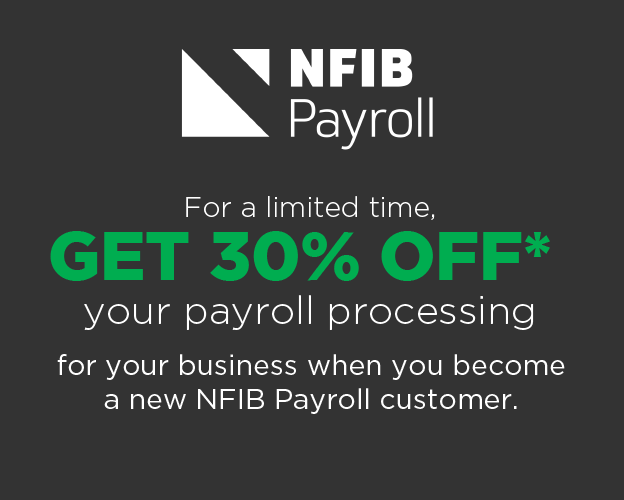 Learn more about NFIB Payroll or call 877-856-1405.